The final leg of the NFAA 3 Star Tour took place in Yankton, South Dakota over the weekend, and Scott Archery/Custom Bow Equipment's Braden Gellenthein and Kris Schaff each walked away with success. Dakota Classic qualification rounds began Friday, April 20th with 4 ends of 5 arrows shot at 3 distances, beginning with the closest distance (40, 50 and 60 yards). Archers were permitted 4 minutes per end, shooting at the target with the 6-ring center spot of the 92 cm target face with gold-red-blue, etc. (10 through 6) scoring areas. Braden didn't miss a single 10-ring the entire tournament. The last closest-to-center arrow against Stephan Hansen was just off center enough to come away with a third place finish on the weekend. "I ended up only missing 1 point all weekend from achieving a completely perfect event, which was higher than any other scores that were shot," Gellenthein said in a Facebook update. "I leave for China pretty happy with achieving a goal that I hoped to accomplish at one point in my career: a perfect round of matchplay." Kris also competed through the Classic, and while he was eliminated in one of the final rounds leading into the podium matches, his solid performance during the $10,000 Shoot Off landed him in first place. Darrin Christenberry, Emily McCarthy and Jacob Marlow also represented Scott Archery and Custom Bow Equipment over the weekend in Yankton. Gellenthein and Schaff compete this week in Shanghai for the first World Cup stage. 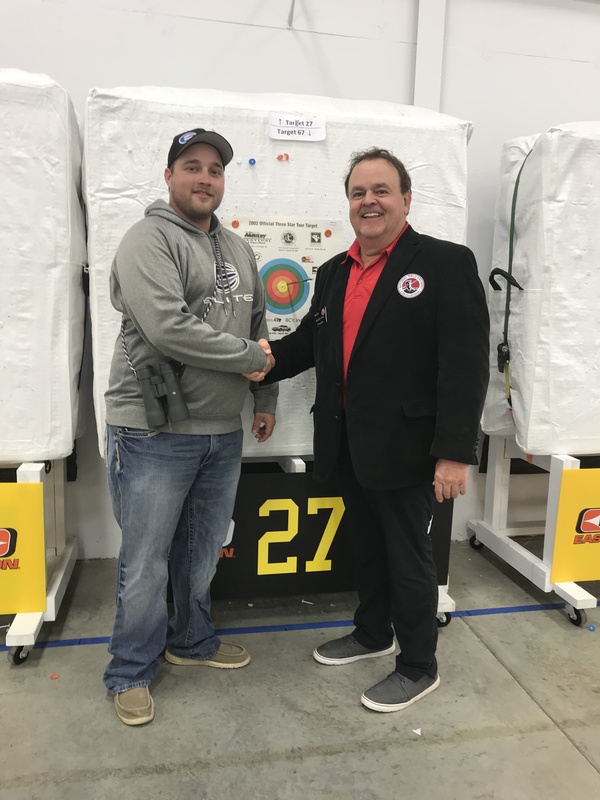 "Kris hit the center at 10, 15, 20, 25, 30, 35, 40, and 50 yards and won the competition with a center 5 at 55 yards with his Echelon," said Christenberry. "To shoot that well during such an intense weekend speaks volumes of his abilities and the level of comfort he maintains with his equipment - I'm excited to see how he performs in Shanghai this week."